Game of Thrones is not a show that holds back anything for the sake of sparing fans from pain. Isaac Hempstead-Wright, the actor who portrays Brandon Stark, a.k.a. the Three-Eyed-Raven, says that last night's relatively mild episode was nothing compared to the rest of the season. And that might be a good thing for fans. "Well, if you noticed, the first episode was quite funny," the 20-year-old actor told The Hollywood Reporter. "I suppose that's a warning, to ease you back in before all the pain that's about to come. (Laughs.) The rest of the season might not follow quite as happily." Uh oh. While we definitely won't fully understand this cryptic message until the final episodes finish airing, it certainly doesn't sound like everyone is going to make it out alive--and who could expect anything less from Game of Thrones? The actor also went on to talk about the reactions he had to reading about the reunions for Bran in last night's episode. "Usually, his mind is occupied with so many other things. 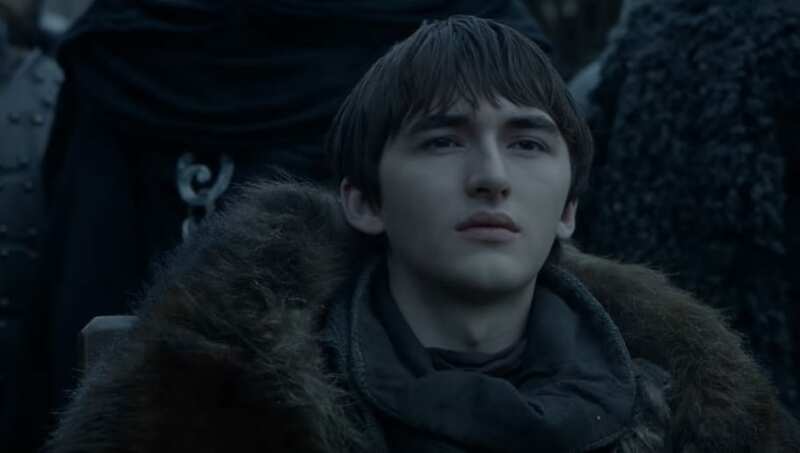 But when he's there in Winterfell, surrounded by so much of his family and so many people he hasn't seen in such a long time, it certainly flares up the parts of his brain that are Bran," Hempstead-Wright shared. I think there's a flicker of him thinking, 'Good to see you again. It's been interesting to see your journey.'" We can't wait to see what else is in store for Bran and the rest of Westeros as season eight continues.